When they consider air conditioning for the home, many people mistake ductless air conditioning for more standard room air conditioners. These two kinds of air conditioners have similar components, but their configurations are quite different. Ductless air conditioners have an indoor unit and then outside they have an outdoor condenser. A ductless system represents a significant investment, and it makes good financial sense to take good care of it. Regular maintenance should occur at least annually, or even better twice a year at the beginning of the cooling and heating seasons. A ductless air conditioning system needs regular cleaning to deal with condensate line leaks. The condensate line is used to drain condensation that has accumulated on the indoor evaporator coil away from the system. The condensate line can become clogged, and then water cannot properly drain away. Over time leaks may develop and water damage will occur in your home. A technician will clean out the condensate line, clean the evaporator coils and remove any buildup in the condensate drain. Ductless air conditioner systems are designed to be durable, but they can develop mechanical issues over time. These systems contain many mechanical moving parts that can become less efficient and eventually fail due to a buildup of grime and dirt. The blower fan assembly, in particular, will need regular adjustment and it can become loose at the mount. If you hear any unusual sounds, it is a good indication that a part has become loose. In many cases, the system will just need some adjustment, or a part may need to be replaced. Regular maintenance will ensure that your ductless air conditioning system is working as efficiently as possible. A system that is running smoothly will use less energy and thus reduce your energy bills. A well maintained system will have: lubricated moving parts, cleaned in coils and adjusted fan belts. The chances of an unexpected breakdown when you need your air conditioning system most is significantly reduced. Regular maintenance could also extend the lifespan of your equipment by reducing the level of wear and tear. A one off service will also help, but a regular scheduled servicing program will provide more comprehensive care and help to detect potential problems earlier. 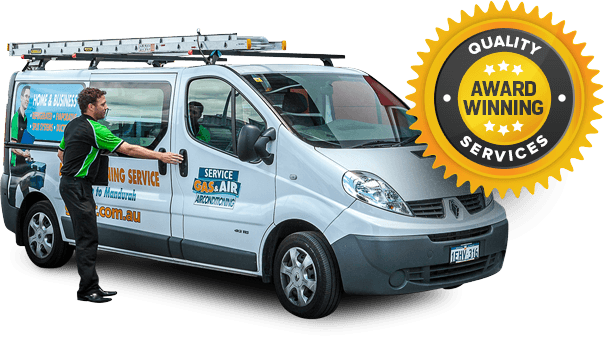 If you need a high quality, local service for commercial or home air conditioning systems contact us here at Gas & Air. We are able to supply, install and service a wide variety of HVAC equipment and we take pride in the quality of our work. We also offer financing options with competitive rates with weekly, fortnightly or monthly repayments available. The Gas & Air team is standing by to answer any remaining questions you may have.